Zamo is a self-proclaimed turn up queen, desperate for social media stardom. Zamo is flirtatious, sassy and knows what she wants: she is not one to be messed with. She avoids the responsibility of looking after her son Spoonkie, often out partying, leaving him unattended or trying to push him on to others. Although Mam Phumzile helps her with looking after Spoonkie, she makes it very clears that he is Zamo’s responsibility and that she must grow up and be a good mother. Will she be able to keep up the party girl lifestyle or will something have to give? 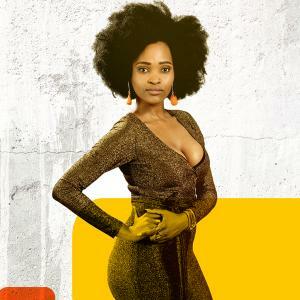 Lerato Walaza, who plays ‘Zamo’, studied drama at Tshwane University of Technology. Her previous experiences include films, TV presenting and theatre, helping her prepare for her big role on MTV Shuga: Down South.